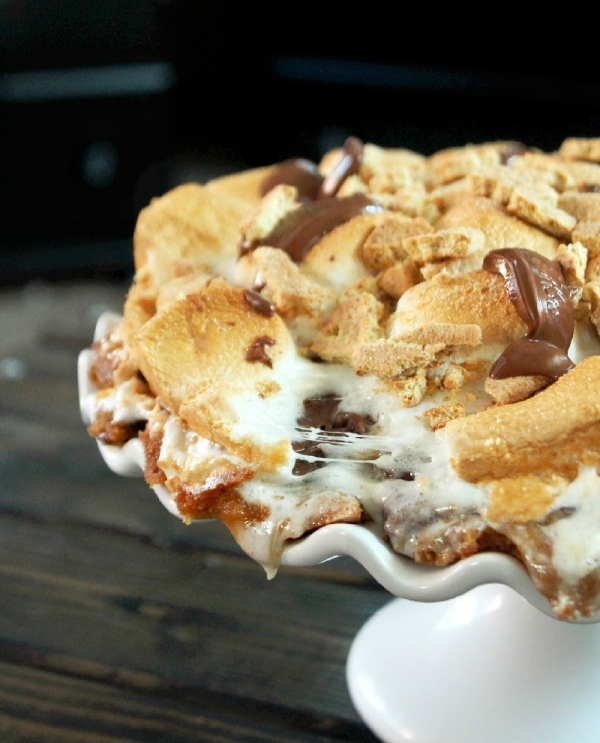 Fathers Day Idea Cookie Dough Smores Pie OMG!!! In a springform pan place cookies pieces around the bottom of the pan. Using your fingers press dough down and half way up the sides of the pan. Bake cookie dough for 10-15 minutes, until light brown. Remove from oven, top with candy bar, then top with mini marshmallows, finish off with large marshmallows. Remove from oven and top with crushed graham crackers.